We’re continuing our Pozhar Week coverage! With the character of Pozhar scheduled to appear soon in The Fury of Firestorm: The Nuclear Men, we’re covering the character’s pre-New 52 continuity. Okay, so we might not be producing a consecutive week, but we’re gonna get five days worth of posts out of this eventually. 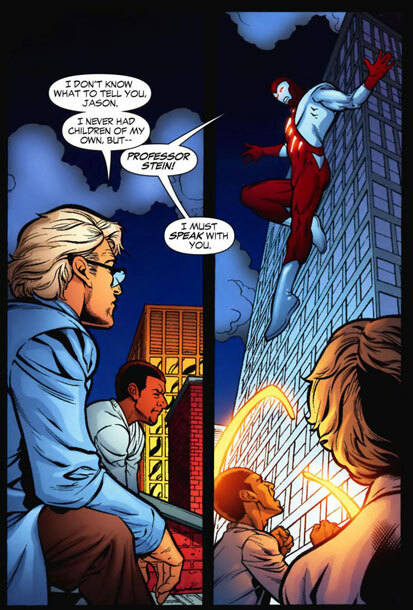 Today we’re looking at Mikhail’s more recent appearances in Firestorm the Nuclear Man vol. III. 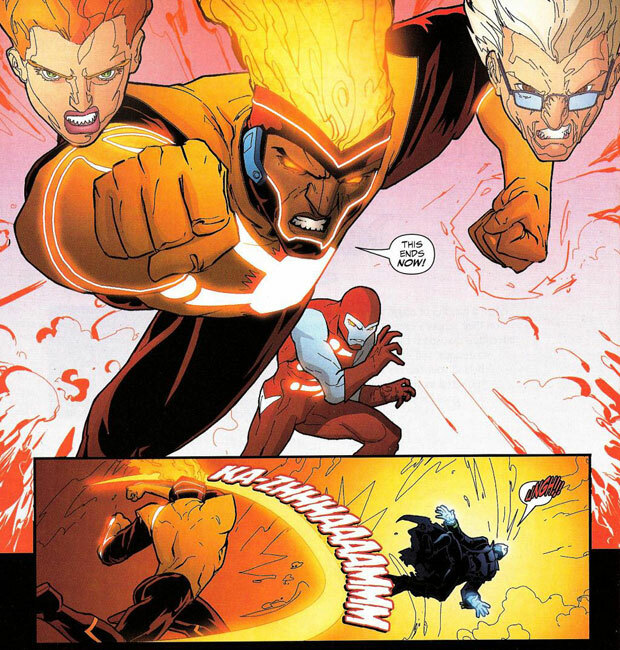 In Firestorm the Nuclear Man vol. III #27 (Sept. 2006) by Stuart Moore and Jamal Igle, Mikhail Arkadin returned to comics after a more than fifteen year absence. Some time prior to his reappearance, Mikhail was exposed to plutonium from a dirty bomb while inspecting a former Soviet power plant in Lithuania. This resulted in Mikhail gaining his new powers. 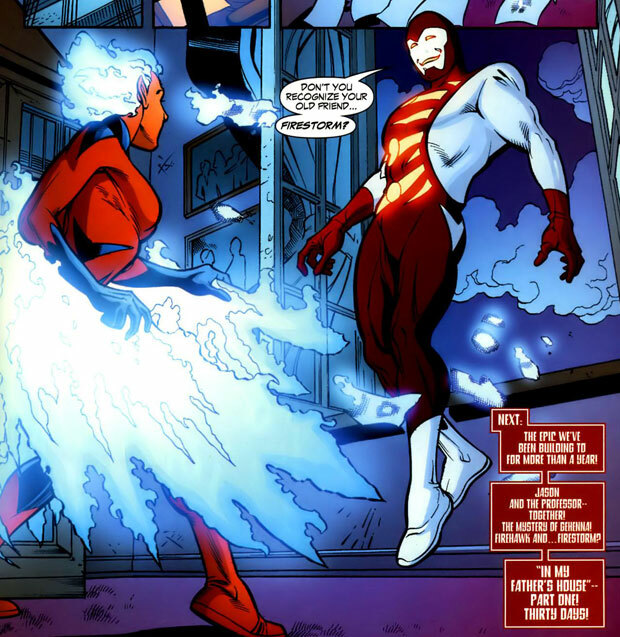 He adopted a new costume and began calling himself Firestorm. Since then he’d been operating in Eastern Europe trying to prevent nuclear disasters. 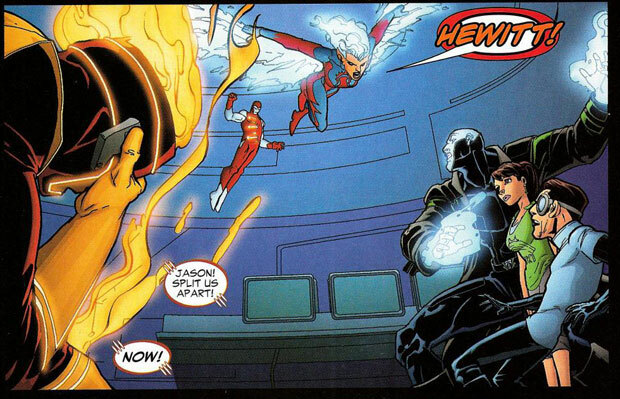 Once Firehawk informed Mikhail of Jason’s role as Firestorm, he re-adopted to his Pozhar codename. Sadly, we also discovered that his wife Nina had left him some time ago. 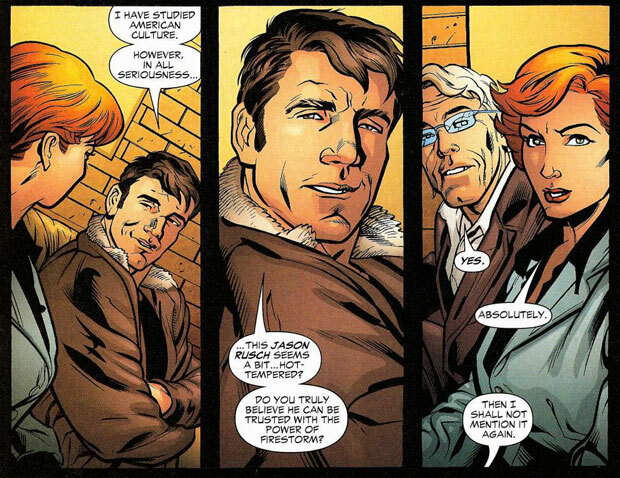 When Jason first met Mikhail in issue #28, a battle nearly erupted between the two of them (in classic superhero team-up fashion). Next, our heroes were ambushed by some atomically-powered Dolly cyborgs. 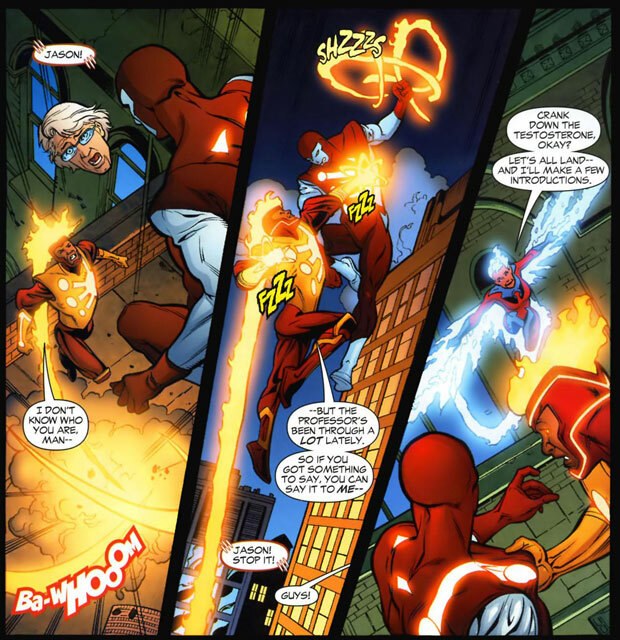 In his Pozhar identity, Mikhail helped Firestorm and Firehawk defeat the man-machines. Y’know, I really dig Pozhar’s symbol on this costume. It’s like a zoomed-in version of the classic Firestorm symbol. If you look, you can clearly make out the edge of the sun symbol, along with the three electron paths. Nice attention to detail, Mr. Igle! Then, in an effort to trace the origins of the Dolly attackers, our favorite Nuclear heroes freed the Pionic Man (a former Firestorm foe) from his containment at S.T.A.R. Labs. This lead to Hewitt Enterprises, the place where Lorraine first became Firehawk against her will (in Fury of Firestorm #17, way back in Oct. 1983). Mikhail joined Lorraine and Professor Stein in their investigation at Hewitt Enterprises. There they met Victor Hewitt, CEO of the company and son of Henry Hewitt. Later, Jason discovered that Victor Hewitt was actually Henry Hewitt (a.k.a. 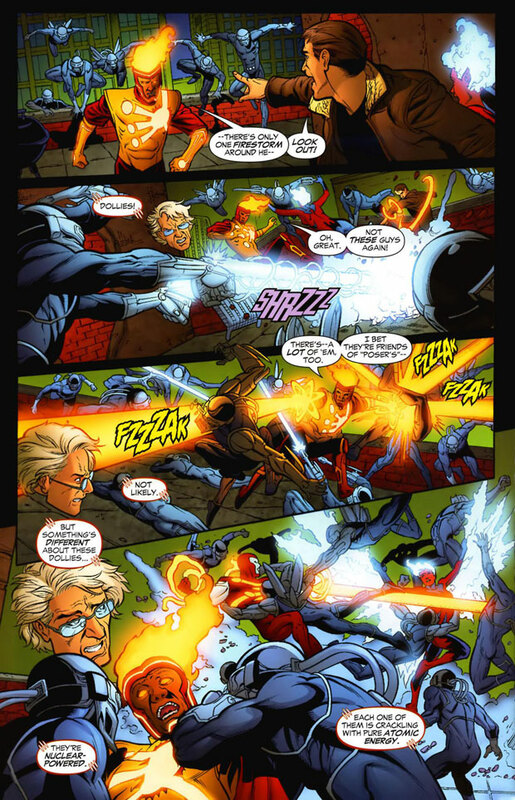 former Firestorm villain Tokomak). 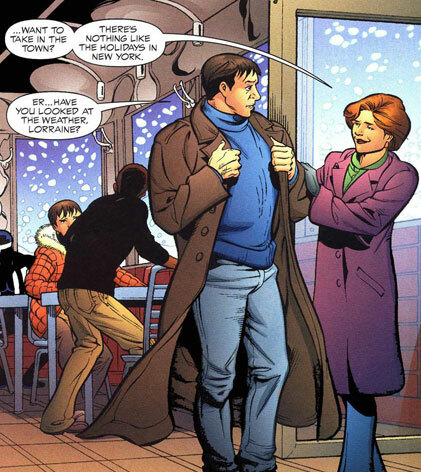 After being defeated by Firestorm way back in Fury of Firestorm Annual #1 (1983), Henry merged with a clone of himself taking on the role of his own son, Victor Hewitt. 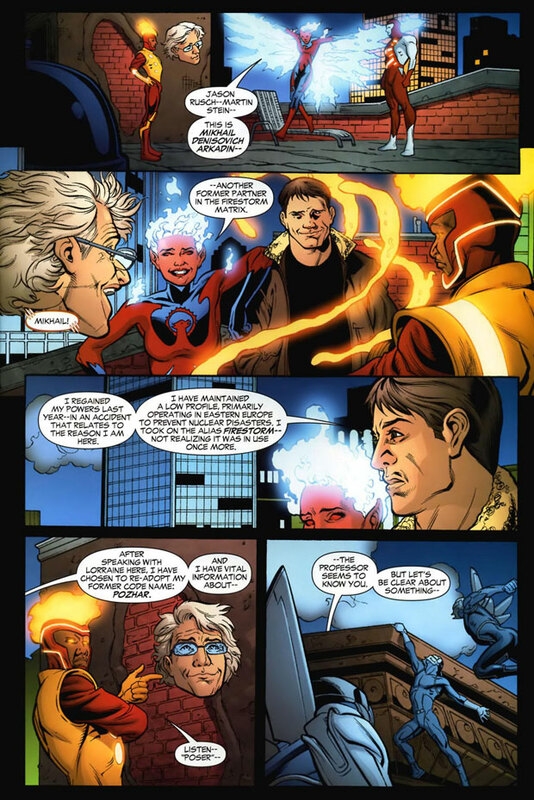 Victor had been manipulating events in Firestorm’s life for quite some time, including directing the actions of: the Pupil, the Pionic Man, the Dollies, and even Jason’s girlfriend Gehenna (who turned out to be another altered clone of Henry Hewitt – awkward!). Victor explained his imminent plan for causing numerous nuclear disasters around the world, while at the same time making himself invincible. 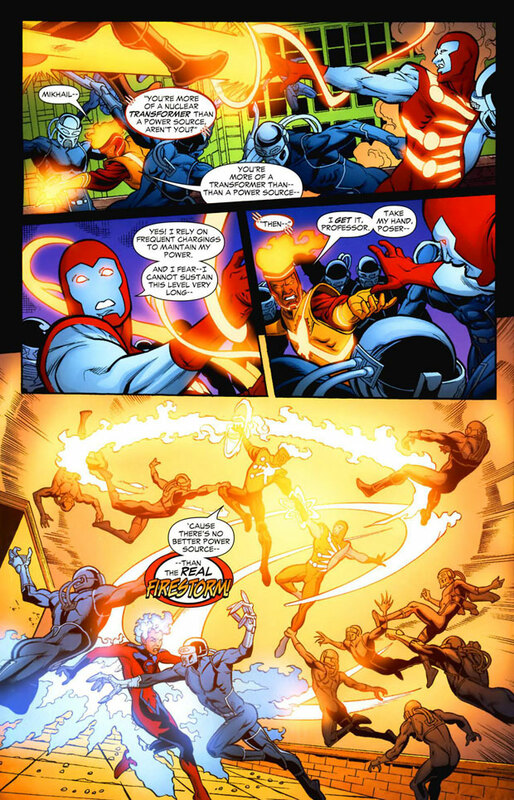 Jason, Professor Stein, Firehawk, the Pionic Man, and Pozhar put a stop to Tokomak before he could realize his mad scheme. During the final battle, Jason unintentionally caused Tokomak’s death. With the world saved, our heroes took some time to catch their breath. 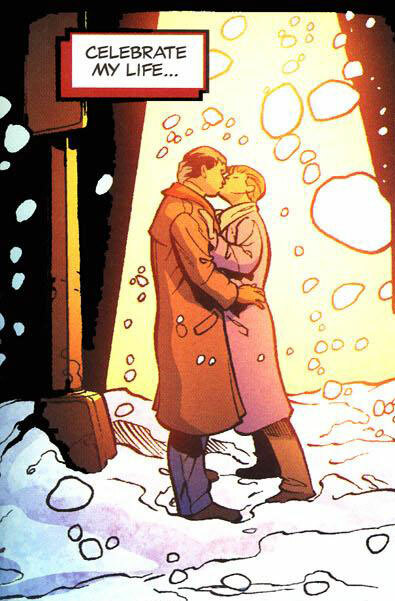 When we last saw Mikhail, he and Lorraine were ringing in 2007 with a New Year’s Eve kiss. 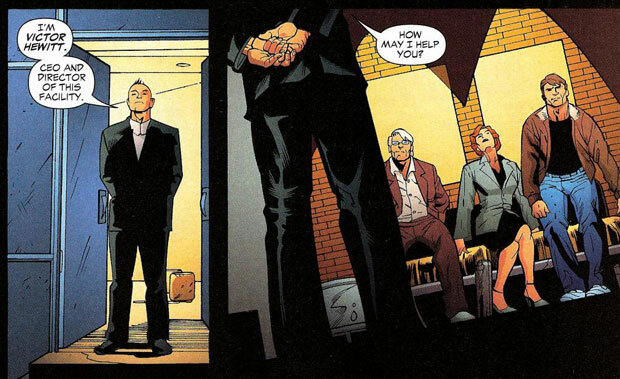 This was Mikhail’s last appearance before the New 52. I gotta say, there are certainly worse ways to go out. Way to go, Mikhail! That’s it for today! Come back tomorrow as we wrap-up our look at Pozhar! Posted in: Firehawk, Firestorm #07: Jason post-Infinite Crisis, Firestorm comic vol. III, Jamal Igle, Jason Rusch, Mikhail Arkadin/Pozhar, Professor Martin Stein, Stuart Moore. 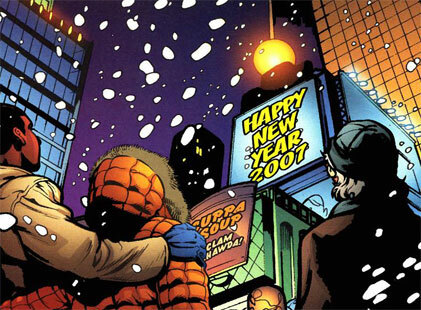 I’ve gotta say, as much as I enjoyed the prospect of seeing “old friends/enemies” again with this story arc, it ultimately never rang true for me. While Moore seemed to get the basic facts all correct, I never felt like I was reading about the same people. Arkadin, Tokamak, etc., just seemed to be people sharing the names of the people I used to enjoy reading about, but somehow were different people entirely. That said, your review hits all the right points. Thanks for sharing. Thanks for doing this! I first picked up an issue of Firestorm during the “blank slate era” (during an adventure where Firestorm went toe-to-toe with Green Lantern) but was hooked by Mikhail’s storyline. After seeing Firestorm on TV during the Super Friends and Super Powers Team, I was so confused! Where was Professor Stein? Who was this Russian fellow? Why wasn’t Ronnie in control? 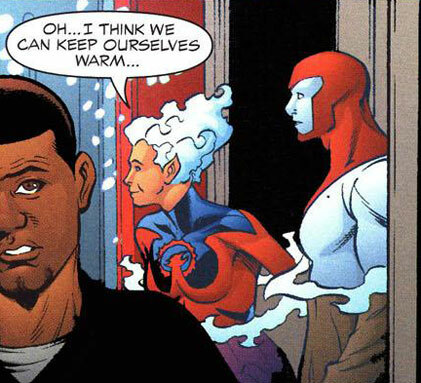 I sometimes feel like the only fan in the world who appreciated Mikhail’s role in the Firestorm mythology. These entries were a really great find, and I’m grateful that you took the time to put them together. I hope that they find a way to keep the great Russian superheroes around during the new 52 (I was also a fan of Red Star and the Rocket Red brigade) because they’re still really interesting and relevant to modern culture. There are still great stories left to tell about (and with) Mikhail Arkadin!